Rob Moitoza's new offering! Rob describes this CD as "It's very "Yellow Submarine-ish" with a little more bizarre Moitoza humor. Kind of a "Music for the inner child" or ""Ear cartoons for adults" kind of thing." This CD is howlingly funny! Buy one today so you can remain more healthy for the rest of your life! Here is the lovlier, gentler side of Rob expressed in songs written with his then wife Kaaren, released in 2001. Rob has performed in bands with Kiki Dee, The Sons of Champlin, Cold Blood, Holly Near, Spencer Davis, Jerry Miller, Sam Andrew, Tim Weisberg, Annie Rose and the Thrillers, and many more. 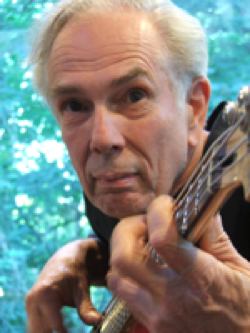 Rob has appeared on over a hundred albums and CDs as bassist, vocalist and writer. He has written over a thousand original songs. He is an experienced recording engineer and producer of pop music, soundtracks and radio and television advertising. He was awarded “Best Bass” by the Washington Blues Society in 2002, 2004, and 2008. 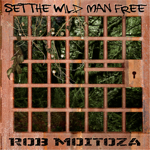 Rob’s latest, and most ambitious, CD... “Set the Wild Man Free” (2013) explores the male experience through music and rhyme. 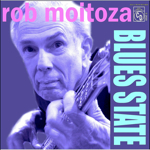 “Blues State” (2010) is a collection of tradional blues and original R&B songs by Rob Moitoza and other writers. Speak Out!” is a collection of political protest songs presented in a modern R&B style. A humorous, but poignant, CD. “Rob Moitoza’s Cavalcade of Stars”, is a satirical look at today’s world through the eyes of an eccentric cast of musical characters, all a part of Rob Moitoza’s own personality. 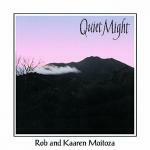 “Quiet Might” is a collection of original songs in a smooth R&B style, featuring Kaaren Moitoza on keyboards, Rob Moitoza on bass and vocals, Larry Washington on drums, and Jim Coile on horns. Rob has also appeared on recordings with Holly Near, David Lanz, the Sons of Champlin, Harvey Mason, Brian Auger, Sugarloaf, Tower of Power (as a songwriter), Tom Scott, Tim Noah, Victor Feldman, Orville Johnson, Curley Cooke, and many more.